This ‘vegetarian’ work combines Hood’s choerography and Bakic’s visual art. Anne-Marie Hood will present herself to the audience as a salad. 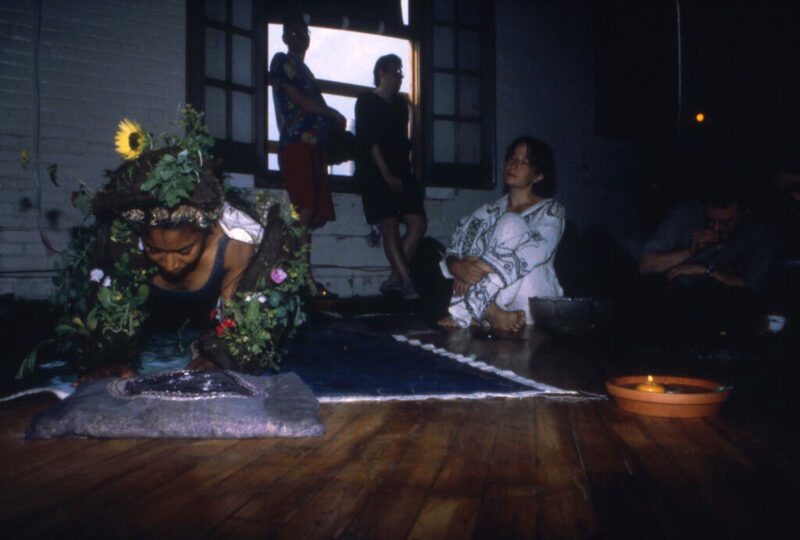 Wearing a costume that will include organic greens, and moving through a site-specific environment she has created, she will invite improvisational, one-on-one interactions with audience members as she constructs a whimsical, kinetic vision of food-as-living. Anne-Marie Hood is a young Toronto woman of colour with a background in dance and visual arts.